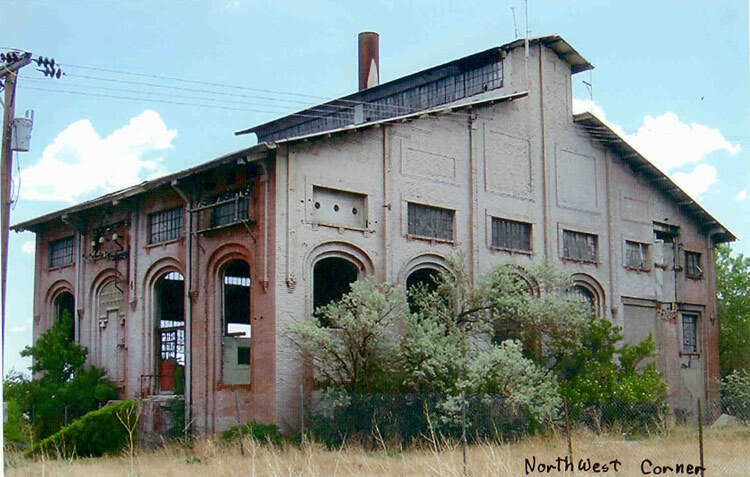 Built to provide energy to the Walsen Mine, Walsen Camp, and the town of Walsenburg, the power plant is the last remaining structure of the once bustling Walsen Camp, a coal mining settlement dating from the late 1870s. At its peak the Walsen Camp boasted over 200 homes and a population of 1,200. The building suffers from years of neglect, vandalism, and scrap metal scavenging. It has an eight-foot chain link and barbwire fence surrounding the perimeter of the building but vandalism and scavenging continues. With the high value of scrap metal the building will continue to be a prime target. In 2015 a preservation-minded buyer purchased the property and has plans to save the building.